Our unique blend of next-gen automation, data science, and Amazon expertise means you’re always spending efficiently and capturing every opportunity available. 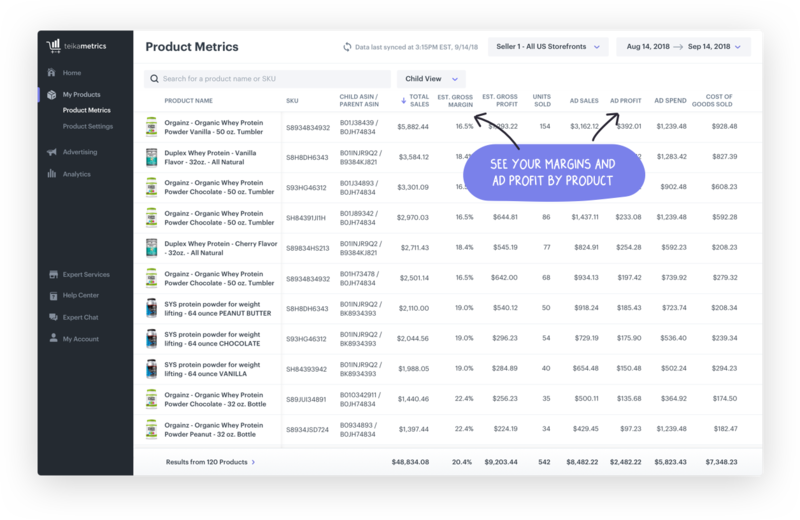 Finally – understand how your Amazon business is performing with advertising spend and sales taken into account. Gain core insights to see where you should invest (and pull back) to maximize your capital. Total revenue increased by 10.13% over 6 months. Say no to rules (based bidding). 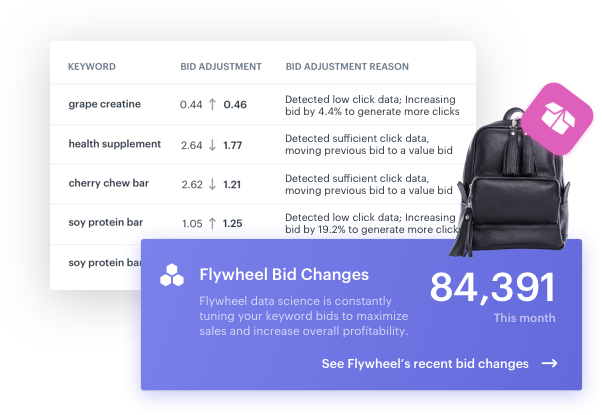 Our price-aware, algorithmic bidder automatically makes sure every keyword is optimized for maximum sales and profitability. You’ll save hours of time a week, so you can get back to doing what you do best: selling. Watch as your organic business grows due to the increased reviews, sales rank, and visibility from your advertising. 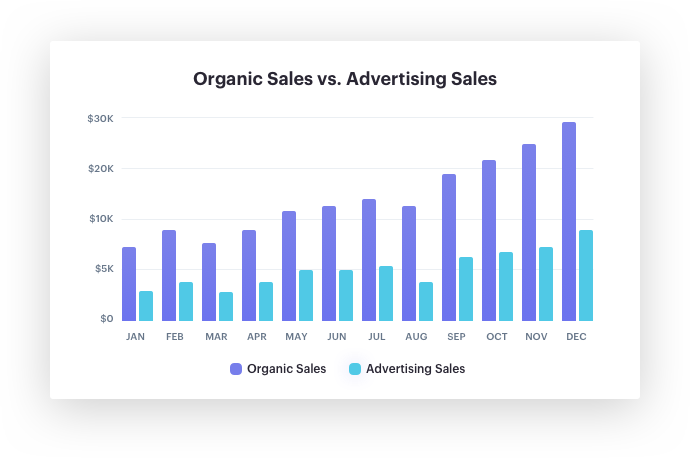 Ensure that your organic sales aren’t being eaten into by your advertising spend. Our Amazon experts are here to help. All of our customer success representatives live and breathe Amazon. They’ll help you every step of the way. Are you an agency or enterprise seller? 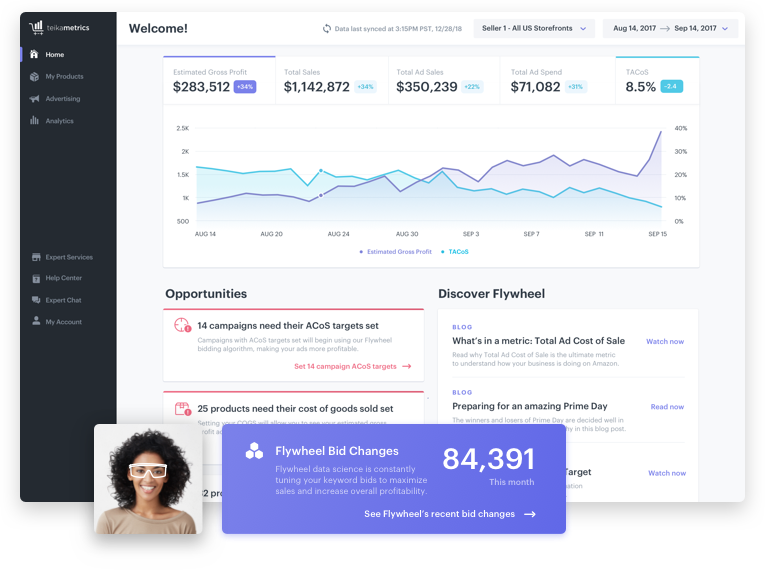 Join our growing list of partners who use Teikametrics Flywheel to differentiate their business, out-perform the competition, and save hours a week.